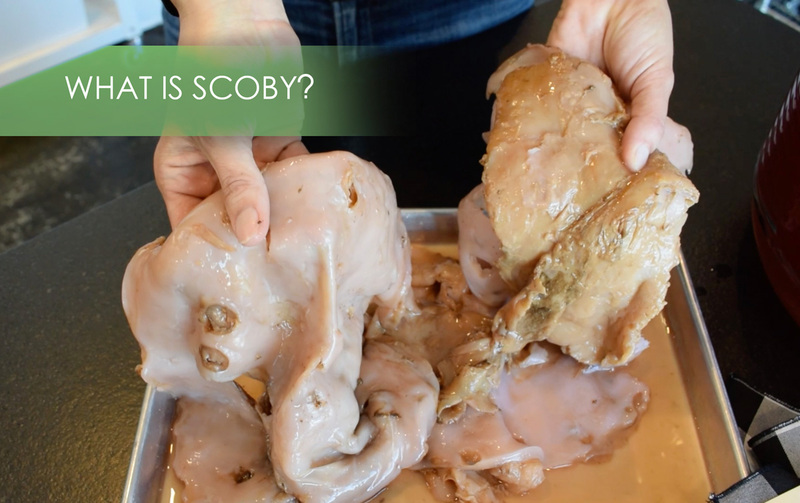 What is SCOBY? - Farm & Culture Co. So, what is SCOBY, why do you need it, and where can you get one? SCOBY is an acronym that stands for: Symbiotic Culture Of Bacteria and Yeast. It’s part of the culture that grows on top of the kombucha batch each time you brew. The SCOBY grows across the top of the vessel and creates an air-tight seal along the top, which is why you want to be able to see your SCOBY from one end of the vessel to the other. This seal creates an anaerobic environment (meaning no oxygen) for the kombucha to brew. This is a very important step in making sure that your kombucha is successful. Let’s take a closer look at the SCOBY itself. You’ll notice that it’s big, heavy, and gelatinous. After each batch you brew, you’ll want to look at the new SCOBY that has formed. It will be easy to tell the old SCOBY from the new. The old SCOBY will look brown and worn-out, and the new SCOBY will be clear and very gelatinous. You’ll also want to take a minute to make sure there isn’t any mold anywhere on the SCOBY. I get a lot of people who are afraid to brew kombucha because they’re worried about some sort of mold that isn’t supposed to be there, but it is extremely rare for this to happen and you’ll be able to tell immediately if there is mold from the smell. You can use the amount of SCOBY that has formed as a barometer to gauge how successful your brew is. You’ll want to be able to save the SCOBY to brew your next batch. It is important to keep in mind that it is always better to have a little too much SCOBY than too little. However, at some point you will most likely end up with too much SCOBY after brewing multiple batches. Luckily, I’ve come across many different uses for extra SCOBY—you can give it to friends so they can brew their own kombucha, put it in your garden, make SCOBY candy and SCOBY sashimi, use it to make bandages, and you can even make clothing out of SCOBY! It’s kind of amazing all of the things that you can do with it! 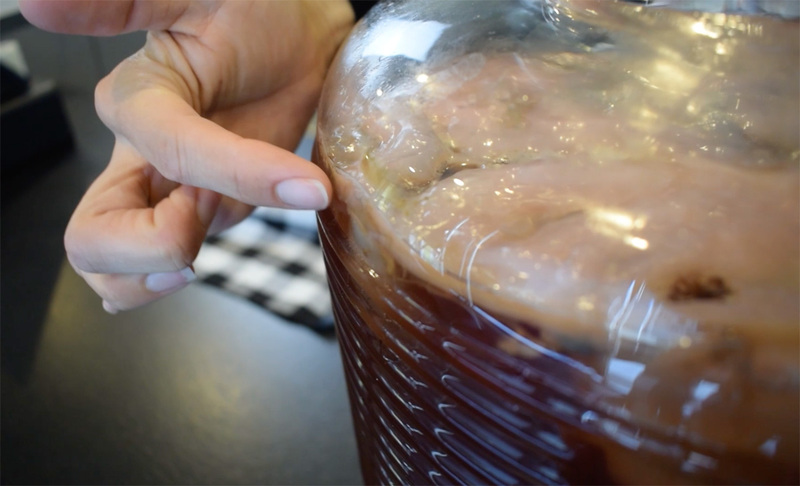 So, you’re ready to start brewing kombucha; but where do you get the SCOBY? If you check out my suggested products list on farmandculture.com you’ll see I’ve tried to make it super easy. Just order your SCOBY and a package of starter culture, which is everything you’ll need to get started, and in a couple days you’ll be ready to start brewing! Also, don’t forget to sign up for our newsletter if you’re interested in discovering more recommended products and brewing tips.